A friend of your family since 1903. 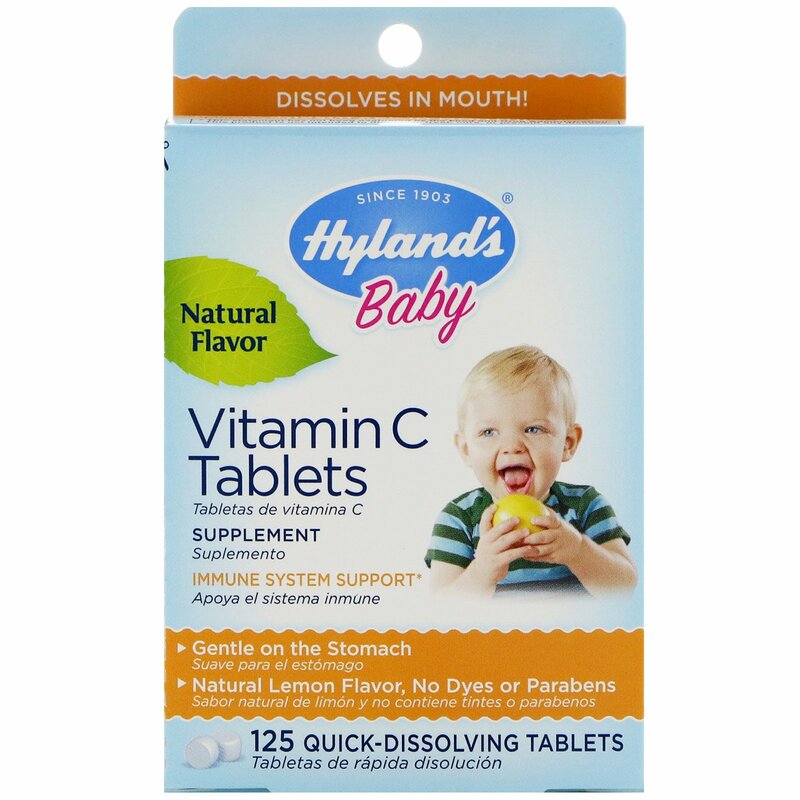 For children under 3 years of age, dissolve 1 to 2 tablets daily on tongue daily or as prescribed by a physician. Please note that our tablets have a tendency to turn cream in color over time. 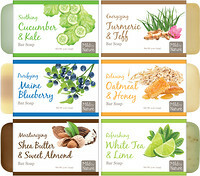 This color change will not affect potency. 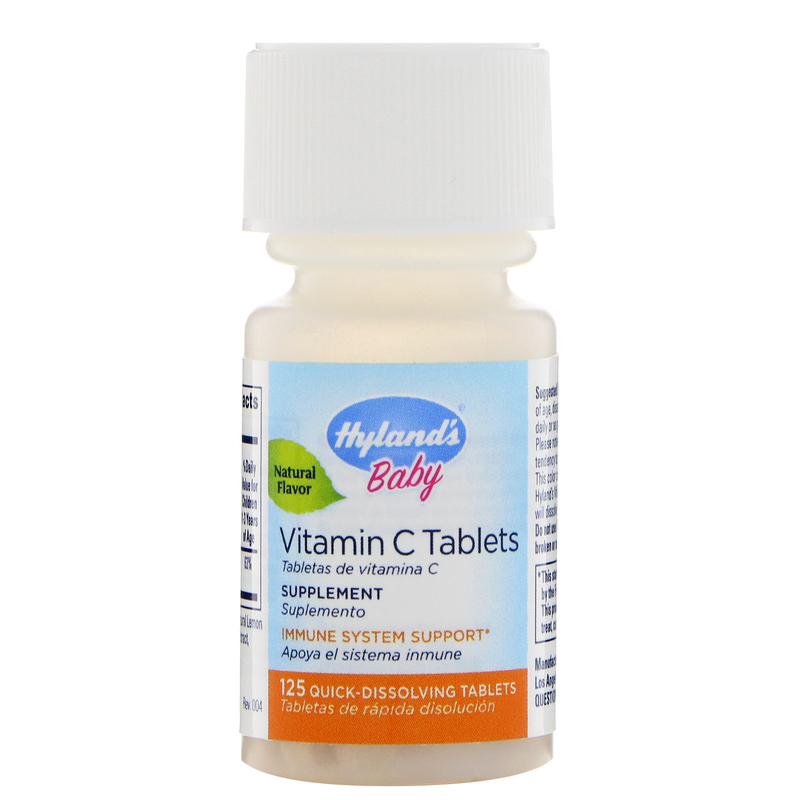 Hylands' Vitamin C tablets are very soft and will dissolve almost instantly in the mouth. 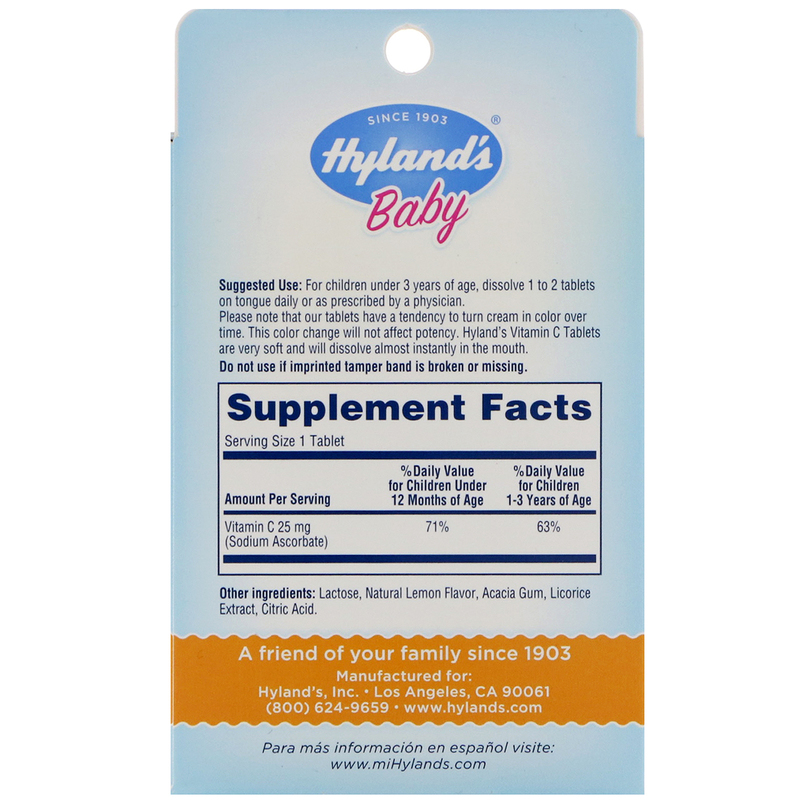 Lactose, natural lemon flavor, acacia gum, licorice extract, citric acid.